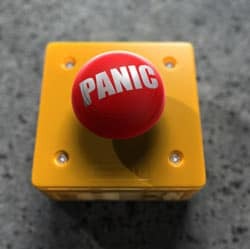 Do you feel like pressing this when taking a test? Panic attacks are a serious matter and can be very debilitating for some people. It is a known fact that almost one in five people suffer from anxiety or some form of it at any given time. Panic attacks are a type of anxiety. Anxiety is often a result of some traumatic experience one has experienced, or it is a perceived stressor from watching or witnessing a traumatic event. Once a person experiences anxiety a couple of times they are more prone to experience it over and over. Furthermore, once someone experiences a panic attack, they are more likely to get worse, to the point of withdrawing from many activities they enjoy. When you have panic attacks that go hand in hand with test taking in school, then real problems can begin! Some people have situations or experiences that they are in without knowing they are actually having a panic attack. For starters, when you have a panic attack, you are most likely to experience the following symptoms; increased heart rate, sweating, nausea, light-headedness, ringing in your ears, feeling faint, heart palpitations, intense fear, fear of passing out or loss of control, your mind going completely blank, dry mouth, choking feelings, bodily numbness, instant urination, and even an out of body feeling. When most people experience this overall gambit of sensations, the first thing that crosses their mind is that they are having a heart attack. Is it any wonder they are scared silly? When it comes to writing a test or exam for school, many people who suffer panic attacks go into a state of fear or shock, often times even before they sit down to write it. Why do people suffer panic attacks just by merely writing on a piece of paper? Often times this is directly linked to former performance anxiety based on failure. Let’s say you wrote an exam or gave a presentation and then were given a poor grade, or even chastised for your poor performance from your parents or teachers. If this has happened in the past, you associate testing with performance and evaluation. Moreover, you equate success or failure as being a part of you – your persona. If you do good, then you associate it with being a good person. If you do poorly and get criticized for it, then this must make you a bad person, or so you think! It is all about perception and also relaxation. For those who struggle with text anxiety and the panic attacks that occur, you might want to consider meditation and hypnosis. The goal is to change your perception of testing, modify your belief system (That tests do not make you a good or bad person. ), and also help you to relax. Under the supervision of a qualified hypnotherapist, you can retrain your mind to overcome anxieties associated with test taking that produce panic attacks. In fact, by having post hypnotic suggestions and cues put into your unconscious, you can walk into writing exams the most relaxed you have ever felt. 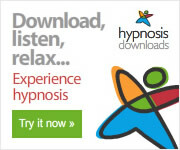 Self-hypnosis can also be successful in helping to overcome panic attacks – check out a self-hypnosis option further here >>>.